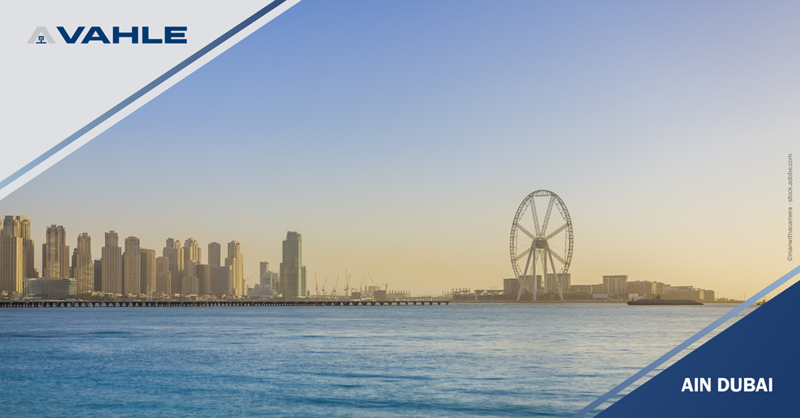 Ain Dubai, The World’s Largest Observation Wheel – the contract for the project has now been signed. 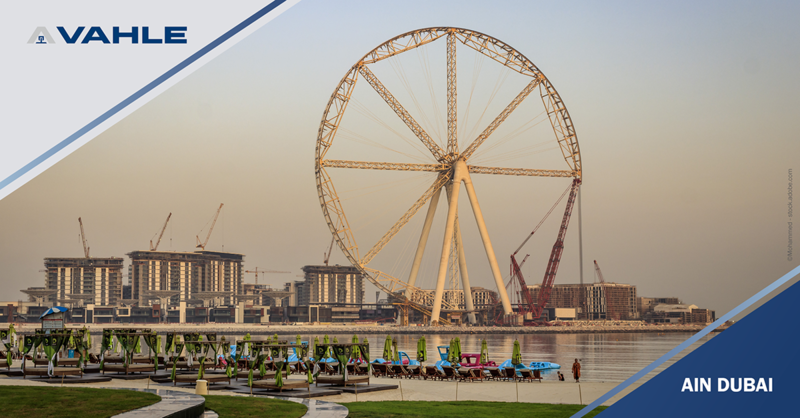 In Dubai, on Bluewaters, an island destination by Meraas, the world´s largest Observation Wheel is being constructed. 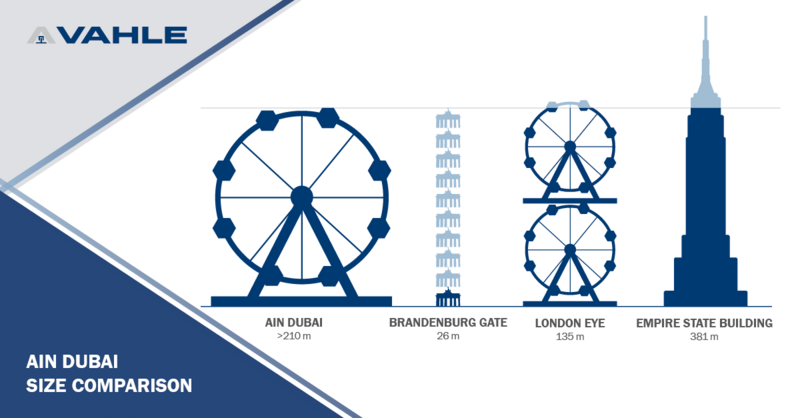 A mammoth structure at over 210 m, it will become the largest observation wheel on the planet. The VAHLE Group is supplying the electrical busbars for the world's largest observation wheel and will supply approx. 15 kilometers of special conductor systems, switching cabinets, the lightning conductor rail and a track monitoring system "made in Kamen”. 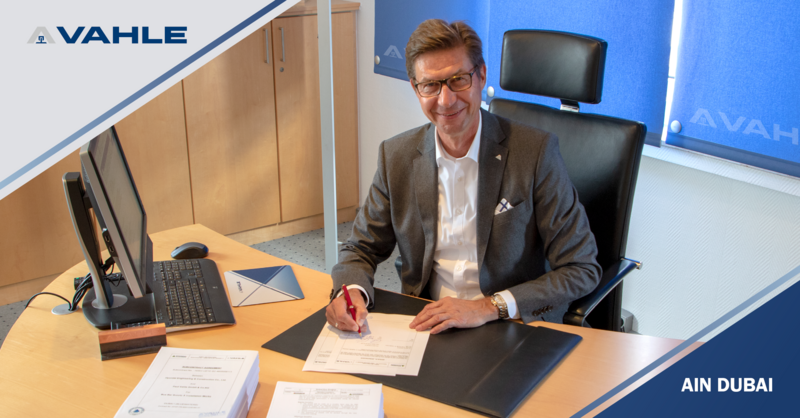 On 17th of August 2018, Achim Dries, CEO of VAHLE Group, signed the contract between VAHLE and a Korean general contractor. This secured order is another success of VAHLE´s market focus that took place last year. The new implemented department "System and Project Business" lead by Thomas Müller (Head of Global Market Management Electrification) already celebrated the success to win the order of the electrification of the window cleaning system for the Lakhta Tower (Europe´s highest building) in Saint Petersburg end of last year.